It's Wednesday! Today I'm wearing very cool velvet set from IN THE STYLE. I've already mentioned, that velvet material is very trendy, and it's all over the fashion catwalks. This is a casual set, very comfy sweatshirt and pants. Perfect for going to the grocery store or casual movie with friends, just add a bomber jacket and comfy sneakers, you'll outfit will be very casual, but with a little bit of chic vibe. I've finished this casual outfit with sunnies from FREYRS. 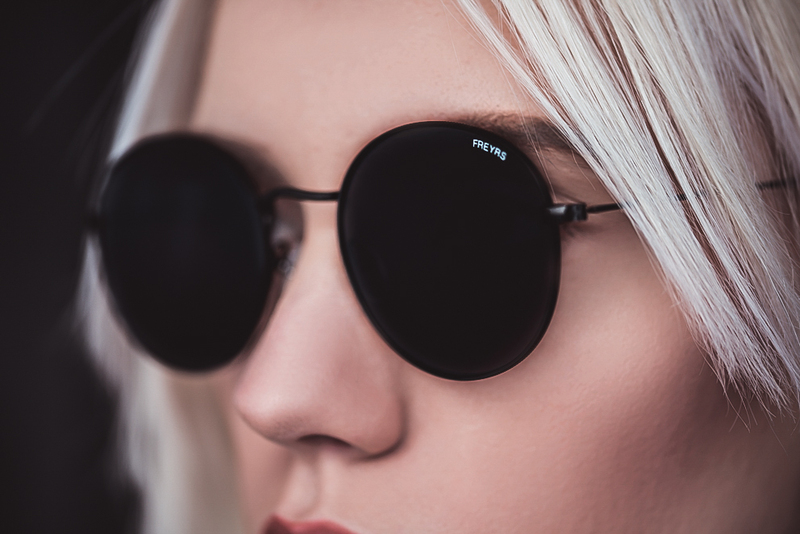 This design is pretty much classic aviators, but the shape is a bit more round, which gives the a more vintage feel, with the softer design lines, they look more feminine. Love this brand's sunnies, they always have a premium feel and awesome designs. Среда! Сегодня на мне очень классный вельветовой костюм в сером цвете от IN THE STYLE. Я уже говорила, что вельвет сейчас очень модный и на пике популярности. Такой костюм идеальный вариант для похода в магазин или в кино, просто накиньте бомбер и оденьте кроссовки. Также сегодня на мне округлой формы очки от FREYRS. Немного нестандартная форма, но в аутфит вписались идеально. Очки очень хорошего качества.